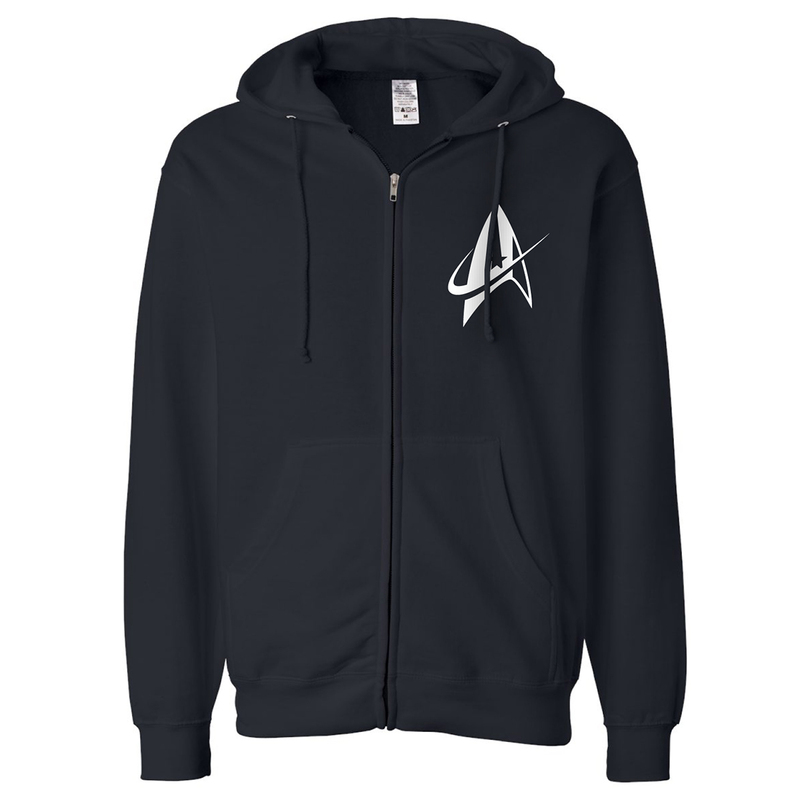 Join the ranks of Starfleet with the Star Trek Discovery Starfleet Zip Hoodie. This soft navy hoodie features the Starfleet delta from the new series, and lets everyone know you're a fan of Discovery. I was a little disappointed. I wear a large and that is what I ordered. When I get my Discovery Zip Hoodie I try it on and it is way to big. There is no size printed in it or a tag with a size. I can tell by the way it fits me that it is at least an Extra Large. If it was the correct size it would be great. It looks nice and is of good quality. Just no size printed on the inside.